Hey Nick, first I want to offer a huge Thank You for pulling all this together. I went through most of this info a few years ago when my Damper hose ruptured at the connection just after the metal line's 180 U-turn. I followed your advice and had a local shop make me a new hose and used a 10mm compression fitting to attach it. Worked like a charm. A few months later the hose just before the U-turn ruptured. While tearing everything apart again I decided to just get all new hoses from the dealer. Using the numbers from your diagram above, I replaced 215, 220, 260 and (from an earlier diagram) 90 (runs across to the passenger side shock tower). I tore the pump apart and replaced all the o-rings while I had it out of commission as well. Looking at my receipts, I bought all those hoses from the dealer in October 2015. A few days ago, the damper hose blew again. Same place as the first one, just after the u-turn. This time I'm just going to have a hydraulics shop make what I need. It will not only be cheaper, but if there are any future problems all I need to do is unscrew the rubber hose and screw on another one. Thank you again for all your contributions to this site. Now for my question. Have you ever thought of getting rid of the 'damper' hose all together? If I cut the metal line just above the first rubber section and attach the 10 mm compression fitting then just cap it off, do you think anything really bad could happen? Part of me thinks that the engineers at MB had to have put it on there for some reason so just removing it can't be good, but I have now had this amazing machine on a tow truck 3 times because of this 'damper' aka 'catastrophic pressure release' hose. My wife and coworkers think I'm nuts for putting up with this. I keep telling them there just isn't anything else I'd rather drive, but I don't think they understand. Sorry to hear about all those problems. The damper hoses do seem to be particularly vulnerable. That might indicate they're bearing the brunt of the vibrations and oscillations in the pump's output, and sparing the rest of the system. So maybe it does serve an important purpose. Car manufacturers never fit anything unless they really need to. Could it be that aftermarket hoses are more reliable than OEM? I think that's unlikely, though I can't deny that there's a theoretical opportunity to upgrade the hose assembly to one with a higher pressure rating. 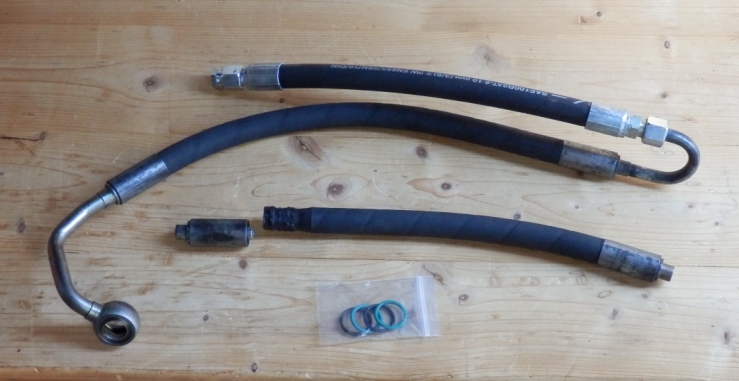 Otherwise I think aftermarket compression-fit hoses are a good idea because you can easily replace a failed one. It's a simple matter to get two repair sections made at a time, so you can hold a spare. (I have a few in the garage). I think it's also a good idea to replace vulnerable hoses periodically, by way of preventative maintenance (though I was thinking in terms every five years, rather than every year!). The W221 and other later models don't have a vibration damper hose - they just use an additional accumulator on the output of the pump itself. That seems like a good idea, but I'm not sure if it could be adopted for the W215/220. nick, i was just about to bring up the new tandem abc pumps with the accumulator attached to them. i really think it's an upgrade and also was wondering if there is a way to adapt that to our older cars. i was also wondering if it would be beneficial to add an accumulator fitting to the old dead end hose and what if any benefits it would serve. from what i've been able to find out is i believe the newer pumps put out more pressure and have a different part # than our older ones. don't know if they can be retrofitted to the older cars, but good fodder for thought. There are lots of different ABC pump part numbers, but I suspect they're all the same core, with different mechanical interfaces (like auto gearboxes). The interfaces are things like pulley, mounting, inputs, outputs, etc, which are different to meet the geometry of the hoses in each particular engine and chassis combination. If you could find a way to put an accumulator on the output of a W220 pump instead of the damper hose, I think that would be a good solution. I don't see any downsides to adding an accumulator. Whether you could simply fit a W221 pump on a W220, I don't know. The pressure regulator and the feed hose is configured differently, so that pump will probably have a different output. There's probably a way. I'll buy a beer for the man who can. The damper hose is called a "Helmholtz Resonator". They are used to attenuate the noise/vibration from the pulsating pressure caused by the ABC pump. There is a fair amount of technical info on the web about their function and design. I would not recommend removing the damper, as it would introduce additional pulsation stresses in the hydraulic system. There is a fairly lengthy section on them in the "Bosch Automotive Handbook" - interesting because many of the higher-tech systems in the W220 are included in this design book. Is there a particular version of the Bosch Automotive Handbook that you are referring to? Well, the lines have been repaired. I upgraded the rubber hoses. Went with something that should stand up to the elements better, and they are rated at 350 bar. Now I'm getting this growling noise from up front near the pump. When my first line ruptured at the beginning of this ordeal, I was merging onto the interstate. I drove for 1 to 2 minutes before getting to a good place to stop and shut down the engine. After replacing the failed line, I heard this growling noise and assumed I'd destroyed my pump. I ordered a rebuilt pump and installed it. Noise remains, unchanged. I haven't completely ruled out the pump, but I feel it's unlikely 2 pumps would make the same growling sound. The noise is definitely coming from a belt driven component as it follows the engine speed. Also it goes away if I remove the belt and start the engine. The next problem is the front suspension is much slower to raise than the rear. The front creeps up and down over a minute or so. The rear rises and falls in a matter of 3 or 4 seconds. I imagine this problem is probably related to the growling noise, but I'm not certain. The noise remains unchanged while cycling the ride height. I attached a pressure gauge to the end of the damper hose. My pressure is right at 200 bar while idling. Drops to 185 when raising suspension, but returns to 200 within a few seconds of the button push. The fluid in the reservoir drops more than the dipstick indicates it should when the engine is running. Meaning its right on the upper line with the engine off, but when its running, its about 1/2 inch below the lower line. According to Darren's excellent write up on the blogspot site, the more the fluid drops the better. So maybe that isn't a problem. I'm leaning towards the accumulator, but why would it be slow going down? It could be the valve block, but the right side and left side are both slow going up and down and they are controlled by different valves. It could be the pulsation damper causing the noise, but I replaced that about a year ago because of a different noise that turned out to be a loose bracket securing the metal line to the side of the engine block. Since I do my own repairs removing and cleaning the valve blocks would be free, but will take longer than replacing the accumulator. The dealer quoted me about $200 for each accumulator, so they aren't going to break the bank, but I hate just throwing money at the problem. I enjoy trying to figure it out too much for that. I'd love to hear any thoughts and suggestions you all have. If you have a growling noise when the belt is turning, it does point towards an accumulator. Does it sound like a transmission noise, that you can only hear from inside with the engine running and the doors closed? 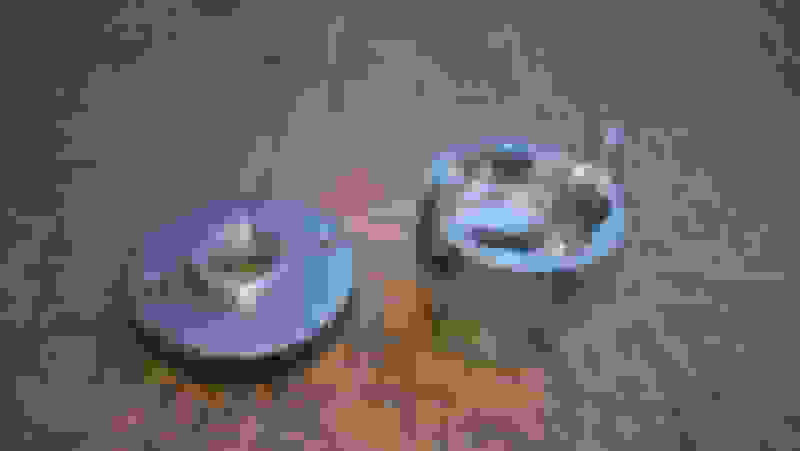 Mostly audible around 1 - 2000 rpm? without removing and poking them. It does sound a bit like a transmission noise. Oddly enough, it gets louder when I shift into reverse. I have no idea what that would have to do with the ABC system, but it happens. I can hear it from outside the car as well, but it's more noticeable from inside as you can't hear the engine as much. It seems to be louder when listening from underneath the car, but that could be as simple as the sound bouncing off the garage floor. I picked up 2 accumulator from the dealer this afternoon. Ill let you know if they solve my issues. I too had a growl just as you described. New engine and transmission mounts were the answer. The sound is still there, but much lower in amplitude, being barely audible in or out of the car. I am assured by my indie that the pump is ok and normal. I have a W220.028 2002 S400cdi V8 common rail twin turbo diesel with ABC and I blew my original ABC pulsation dampening line and recently replaced it with a new updated one A2203203572 and it lasted about 3 weeks and started leaking. On the V8 cdi ABC pulsation dampening Line, it lacks the U turn and is the length of up to the U turn so much shorter. I imported this vehicle myself from Germany and is now the one and only V8 cdi in North America. I now know how the ABC pulsation dampening Line gets destroyed prematurely. In British Columbia Canada, there is a fairly new highway with a really bad bump that gets the car some air and then lands hard and bottoms out hard. Highway 17 south at Highway 91 connector, the highway is build on boggy peat and is sinking. It takes several days after the initial shock on the dead end line and the shock hammers the end fitting and causes the fracture and eventually failure. After the OE replacement failed after 3 weeks of use, my engineering mind got to work and I got my Hydraulic Line Shop called New-Line chop off my original damaged end and I decided to add 36” of replaceable hose to better absorb the shock. I’m driving in this configuration at the moment and the fix is working. I have ordered up a rather spendy Enerpac ACL-21A hydraulic accumulator to the end of the dead ended hose to better absorb shock nasty shocks. I will follow up with pictures once I get it all together. I've previously stated that the strut top bush fix / mod only works on the W220/215 front struts, as it had appeared to me that the rear strut bushes are different. I may have spoken too soon. I have lots of struts lying around, and had a few minutes to play yesterday. The rear strut is different to the front, but it is similar, and it also has a strut-top nut bush with a pair of 5mm holes, like the fronts. However, the design is different, and the nut bush sits lower down, below the level of the strut top plate. When you consider the three upward-facing studs, it's not possible to undo the nut bush with a 35mm pin spanner, like you can with the fronts. I had a play with one of my rear struts, and found that I was able to loosen one of my nut bushes by a few degrees using the pin spanner, but not all the way, due to the mounting studs fouling. 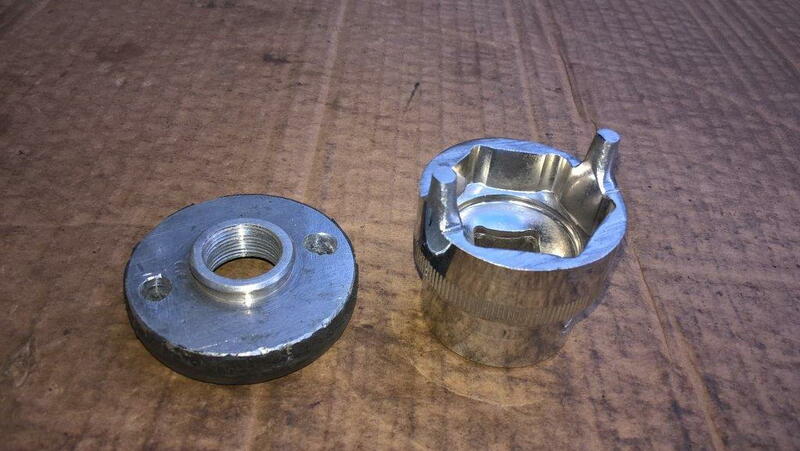 Therefore it may be possible to remove the nut bush completely using a fabricated pin socket tool, like some people have made earlier in this thread. I've bought a 30mm socket to cut up, and try to remove the nut, and I'll let you know how I get on. I'm hopeful of being able to use the same mod on the rear struts. Last edited by Welwynnick; 01-19-2018 at 12:28 PM. OK, it turns out you CAN rebuild the rear strut bush in the same way as the front. The strut top nut bushes look the same, and the top of the struts themselves look the same, but the rear strut bush is just much deeper. It looks like you ought to be able to interchange the bushes, but on ABC cars the front bushes are wedged, while rears and airmatic strut bushes are straight. I had a play with my car tonight, and it looks like you should be able to remove the bush nuts from inside the car with the wheels on the ground, which would be ideal, but it does look tricky due to the head-rests and the rear window. My silver S600 has 164k miles on it, and doesn't ride very well on broken surfaces. Diagnosing worn rear bushes isn't as easy as the front, as the rear struts have some free travel before the springs hit their seats, which seems very peculiar indeed. The result is that when the car is jacked up, the wheel can be levered upwards quite easily, giving the impression that the bush is badly worn. However, that's just the spring. The real way to tell is by pushing the wheel or brake DOWNWARDS, and seeing if the whole strut moves down a few mm. On my car they did, so I'm definitely doing the job, and very much looking forwards to it. Wish I'd figured this a long time ago. Last edited by Welwynnick; 01-19-2018 at 12:39 PM. Hi All, I bought my first (silver) S600TT in 2012, and spent the first five years putting everything right (plus a few modifications). It never rode very well, and I always missed my last S600TT, which handled difficult roads better. The front strut bush modification three years ago was a big step forwards, but it still drove like a bag of bones, especially in comparison with my second (black) S600TT, which has 30k fewer miles, and drives much better. However, I finally replaced the left rear strut top bush yesterday. I used my home-made two-pin socket and an electric impact driver, and the nut came off easily.I cut off the old rubber bush, which was quite thin, and fitted a new 10mm thick bush. I drove it to work today, and it was like a different car – and that was just one new bush. I have 275/30/20 tires all round, so it’s never going to ride softly, but now it manages to resolve the road surface, without making it feel worse than it is.Before it used to crash and shake and wobble and oscillate down all but the smoothest roads.Now, the bumps come, the bumps go, and they’re forgotten. It feels imperious, more like a luxo-barge should be.I’m really looking forwards to fitting the other rear bush. Re-assemble in reverse orderNote that the strut should be reconnected to the TCA before the TCA is reconnected to the knuckle Alternatively, if you can remove the strut top bush nut from inside the car, so much the better! I was wondering if ABC had similar issues to Airmatic regarding the top bush, so I had a look at some cut-away drawings of airmatic struts, and it looks like they have little in common, and we can't use airmatic strut top mount bushes instead of ABC ones. With ABC, the bush bears the weight of the car, but on Airmatic, the air spring bears directly on the strut mounting, and only the damper is mounted with a bush. Therefore the bush doesn't carry the weight and won't suffer from our wear problems. the Airmatic configuration is conceptually more like a traditional spring plus separate damper configuration, and noting like a MacPherson strut type, where the spring/damper is one unit. It seems to me that the latter configuration is increasingly popular. my guess is you can get away with a bigger and softer bush, because the damper is still damping the spring effectively, which it wouldn't be able to do effectively if it was mounted in a big, soft bush. this may be an argument for ABC riding better than Airmatic, though my observation is that Airmatic does ride very well. I wonder which configuration Mercedes consider to be optimum? Last edited by Welwynnick; 01-23-2018 at 08:06 AM. Just read this entire thread, i have a leak in my ABC lines and i've never thought about going to a hydraulic shop and have them chop and graft a new section in. My main leak seems to be a weeping leak not a spray, i don't know anything about ABC as i just got my car a couple days ago, it's some kind of return line, the ones that runs under the radiator and the fat rubber one that runs along side the subframe from side to side. I will eventually have to do the high pressure hose that goes under the transmission, and on the SL, i heard you have to pull the subframe and lift the engine to get that line out. I will eventually have to do the high pressure hose that goes under the transmission, and on the SL, i heard you have to pull the subframe and lift the engine to get that line out. Nick, by any chance do you know the part numbers for these two lines? One goes to the high pressure line that snakes around the engine, and the other is just capped off...wtf..both trace back to the pump, this is on a 2005 SL 600.. This is on an SL600, someone mentioned they had to remove the subframe to get the bolt out, that's not the case with this one, you can get access to it from the front if you feel around for it. Hello guys. I hope here i can find what is my problem, i have an Mercedes CL500 2011 and just when i drive a little aggressive or i take corners in high speed ABC mafunction ( with yellow ) appears on the display, the car is raising up and the suspension blocks, when i turn it off and start it again come back to normal. Please help. 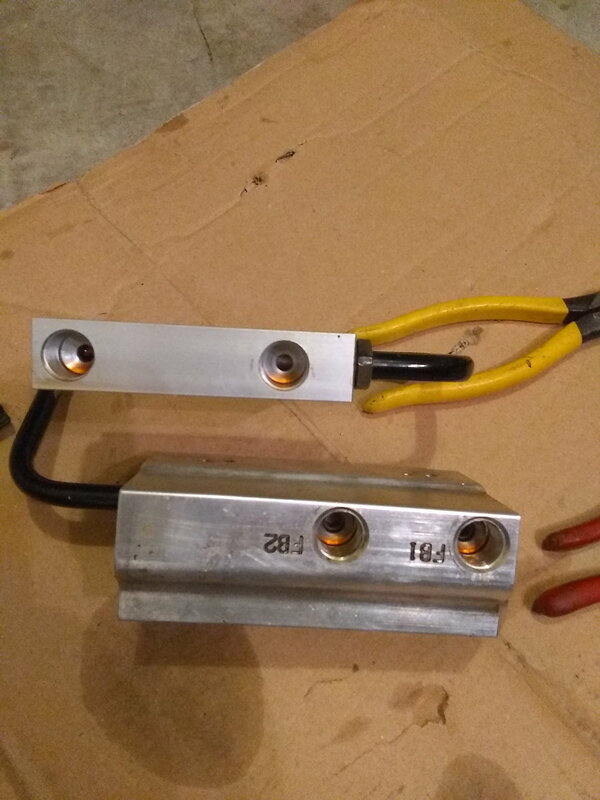 I didn't take a picture before disconnection of the old block so I dont know the routing.but it appears that fb2 outer port goes to front right side and fb1 goes to left front strut. the 2 top ports go to cooler lines and the one on the end seems like a check valve /temp sensor so the one near the black metal line needs to go to cooler. Even if i had FB1 and FB2 reversed, my issue is that i have the rear of the car going up when I press the button inside and before replacing this the front went up. I barely lifted the left tires off the ground so those 2 struts were fully expanded, and the right side was fully compressed during replacement. I have disconnected both batteries and tried to get a reset. The other thing is even though the reservoir is full, the top will not go down. I switched 2 solenoid wires and it raised the left side of car. i switch all 4 connectors to solenoids and it raises the rear then car senses the rear is higher than the front and it levels out. I dont think it did that before I changed out the block and solenoids. The other thing is it spit some fluid out which could be air? When this is correct it will be draining power steering fluid completely and filling with the pentosin. my wiring harnesses are void of markings so I could use the actual 2 wire colors to each solenoid. They are yellow/gray, green/green, orange/orange and yellow/?. thanks in advance. initial startup not complete perform load adjustment. I do not see any leaks and it maintains height and the raise/lower button functions. 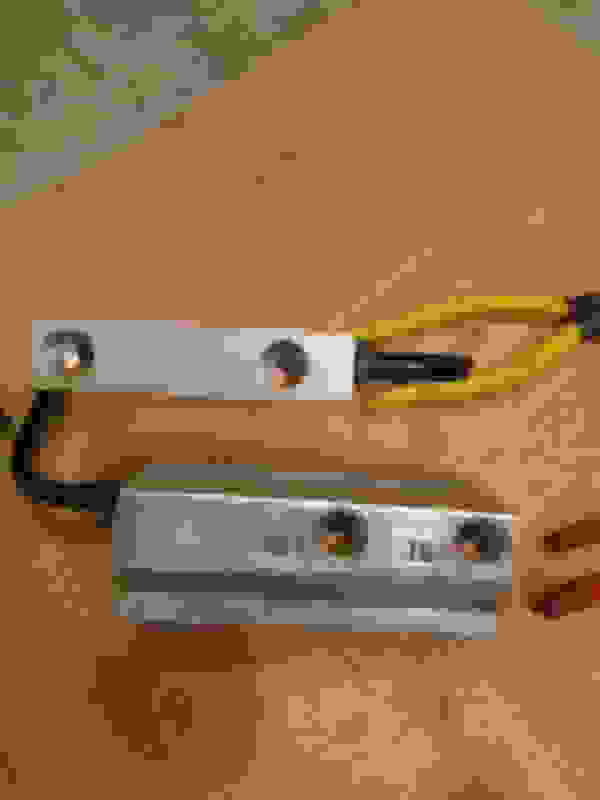 Actuators? Also the plunger control shows no current on testing but it functions? Please help.